Pakistan’s first ever Oscar: saving face – or losing it? Permal’s triumphant “in your face” punned on the title of Obaid-Chinoy’s award-winning film, “Saving Face”. But some complained that because the film highlighted a particularly horrific form of gender violence (using acid to attack and disfigure women), it gave Pakistan “a bad name” – and so led to the country ”losing face”. This in effect sums up the bitter-sweet reality of Pakistan’s first ever Oscar win: the award meant international acknowledgement for Pakistani talent (Obaid Chinoy) and the real life heroes who are fighting violence against women, including the survivors themselves, but it is also a grim reminder of the acid burning phenomenon that stems from a complex set of socio-cultural beliefs and practices that Pakistan – and indeed other countries in the region, like Bangladesh and India where such attacks also occur — must do more to counter. Activists believe that the prevalence of violence against women is far higher than the over 8,000 cases reported every year, compiled in the annual reports of the Human Rights Commission of Pakistan (HRCP). Acid attacks are relatively few in this country of 170 million: HRCP reported 30 such cases in 2010. But the devastation they cause is disproportionately immense – termed as ‘a personal form of terrorism’ by New York Times columnist Nicholas Kristof. Survivors, their faces literally melted away by acid, describe feeling neither dead nor alive. Acid attacks in Pakistan were previously considered assault by the law, but thanks to dogged lobbying by activists, are now specifically dealt with under the Acid Control and Acid Crime Prevention Bill 2010, enacted as law by Pakistani legislators at the end of 2011. Clearly, legislation alone will not end such attacks. What needs to change is a particular mindset, rooted in a patriarchal system in which women are often seen as property. Those who throw acid on women tend to be disgruntled husbands or rejected suitors. Such attacks, often committed in the name of ‘honour’, are among a long list of crimes against women. Plastic surgeon Dr Mohammad Jawad with a patient. Photo credit Asad Faruki (cameraman for 'Saving Face'). Hope lies in the organizations and individuals working to counter this phenomenon – doctors, non-government organizations and the survivors themselves. Pakistani beautician Massarat Misbah’s Depilex-Smile Again Foundation rehabilitates survivors and provides skills training for them, often as beauticians. For her film, Obaid Chinoy worked with the Acid Survivors Foundation Pakistan, established in 2006. 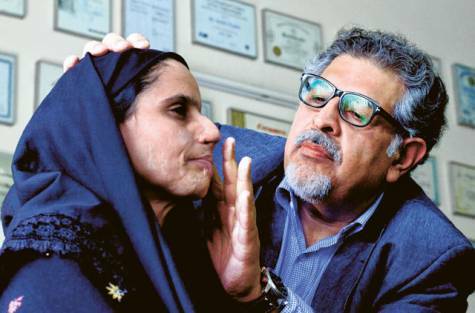 ‘Saving Face’ focuses on UK based plastic surgeon Dr Jawad (a graduate of Dow Medical College in Karachi), who regularly returns to Pakistan to operate upon acid burns survivors – literally saving their faces. The film also focuses on survivors and their struggles to obtain justice. In doing so, the film highlights the story of hope within a grim situation. There is much that needs to be addressed when it comes to gender violence — as well as education, health, social development and human rights — but the silver lining in these dark clouds lies in those who are working to counter these problems, the real-life heroes of Pakistan, thousands of ordinary men and women working for change in the fields of education, health, culture and human rights. But in keeping with the universal dictum that ‘no news is good news’ such work rarely hits the headlines. 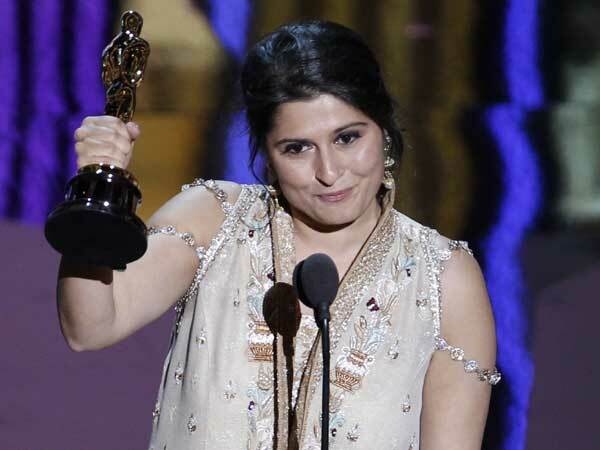 Obaid Chinoy, the first Pakistani to win an Oscar, is one among many Pakistanis who are internationally acclaimed for their work in various fields. They include Asma Jahangir, the fiery human rights lawyer and UN Special Rapporteur and physicist Dr Abdus Salam, Pakistan’s only Nobel Laureate. Unlike the subjects of Obaid Chinoy and Junge’s ‘Saving Face’, most of these heroes will never end up in an Oscar-winning film for the world to see. Is that good or bad? Those who prefer to sweep Pakistan’s dirt under the rug will never see publicity about a problem like acid burning as a good thing. For those who believe that talking about the problems is a first step towards a solution, Obaid Chinoy and Junge’s “Saving Face” is spot on.